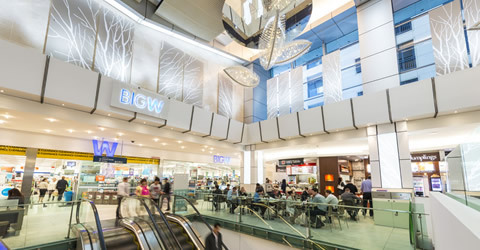 This project comprised the refurbishment of the existing MacArthur Central Level 1 Food Court and Edward Street Mall. 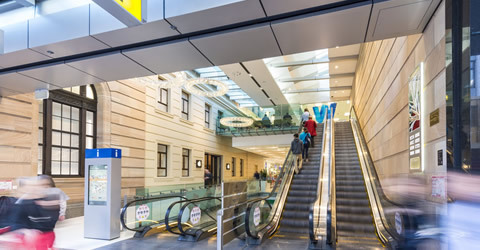 A once dull, tired environment was transformed into a contemporary casual dining destination designed to enhance the experience of the city lunch-time, student and local resident crowds alike. A combination of earthy tones, timber panelling and modern furnishings have been incorporated into the precinct in order to radiate the ‘open & airy’ feel created by the refurbishment. Alongside with crisp white tiles and bench tops, an olive green has been used throughout to emphasise the natural feel. An array of seating options are available including plush green material chairs, bench stools and forest design dining chairs to cater to everyone’s appeal. 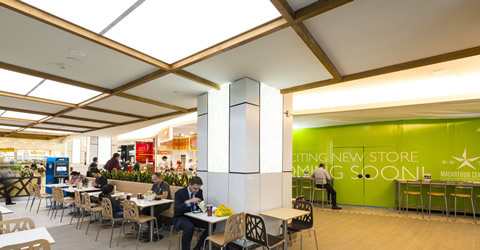 The existing food court flooring was removed completely and reinstated with the high level podium ceiling refurnished and painted. 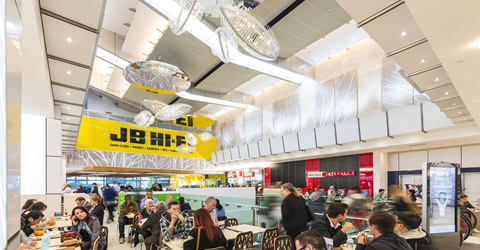 As part of this redevelopment project, new architectural light fittings ‘Cha Cha Baby’ were installed to the podium ceiling as a key design feature to the new Food Court area. 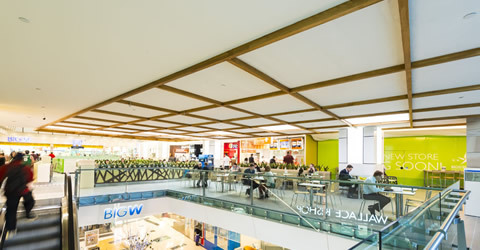 A timber pergola ceiling was installed over the Queen Street entrance to the Food Court. The ceiling comprised 240mm wide laminated Tasmanian Oak beams with flush set ceiling installed in between the timber grid ceiling to give the effect that the timber projected from the ceiling itself. 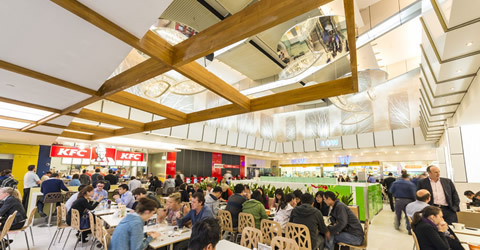 In addition, a large cantilevered section overhangs the Food Court. 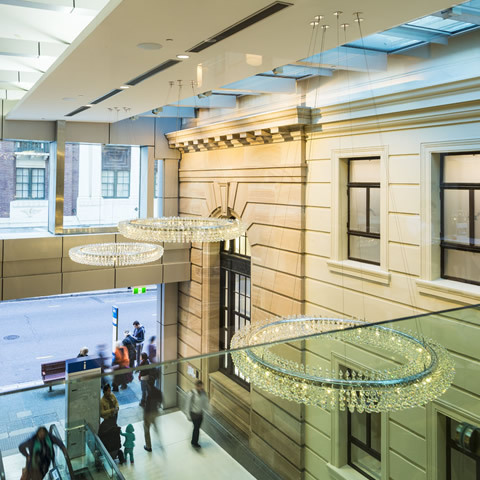 Chandelier light fittings were installed at high level in the Edward Street mall area and the ceilings refurbished throughout. In the lower section of the ceiling, recessed light boxes for down light fittings were installed.